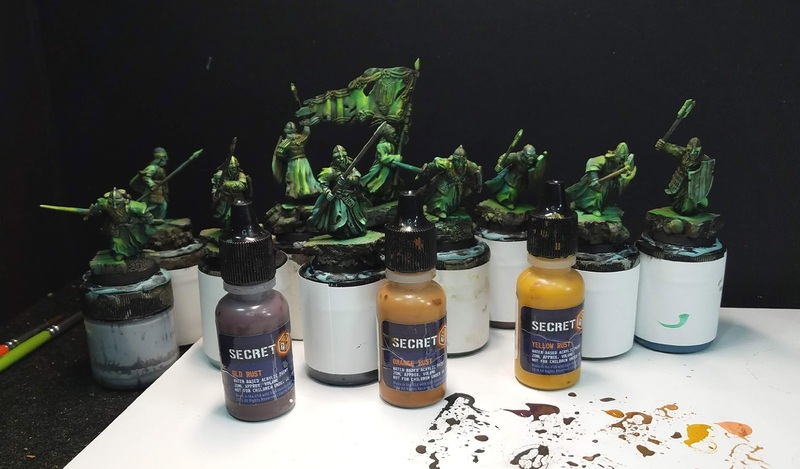 It is hard to believe that yet another Army Painting series is complete, and a Series 6 already under way! 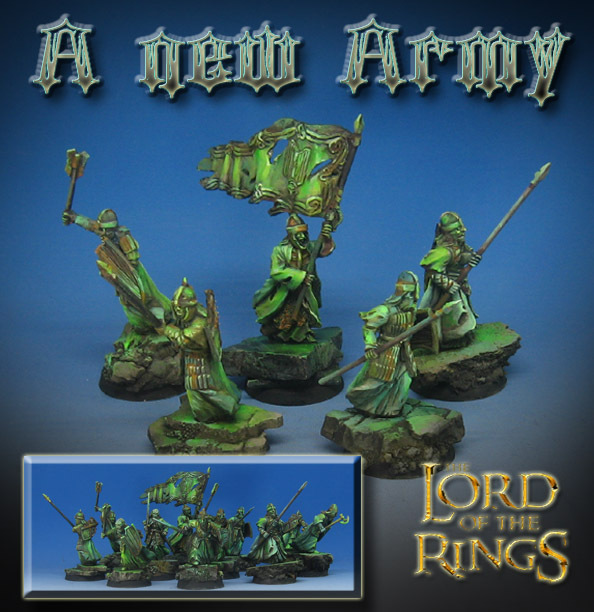 This episode would be the conclusion of the Army of the Dead figures, which started with basing the unit. Now at this final stage, I am working on the weathering effects. 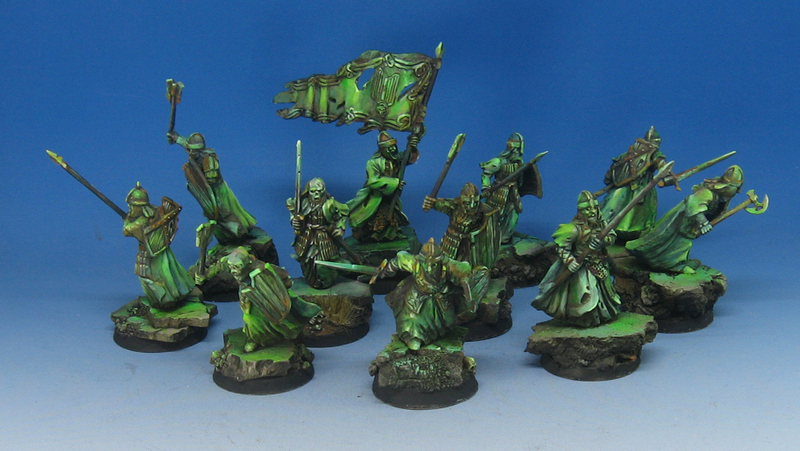 Episode 4 had covered the Ethereal effect, using the Vallejo fluorescent paints and Reaper clear paints. 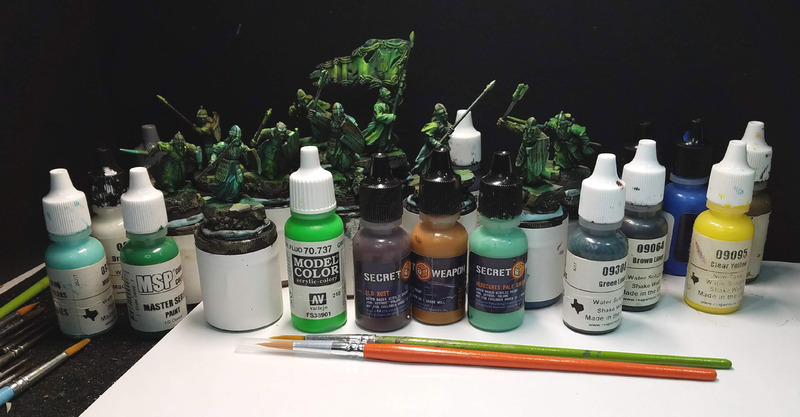 The Secret Weapon Weathering paints were perfect for the task of adding rust and corrosion to the armor, as they are meant to be used in a glazing fashion. 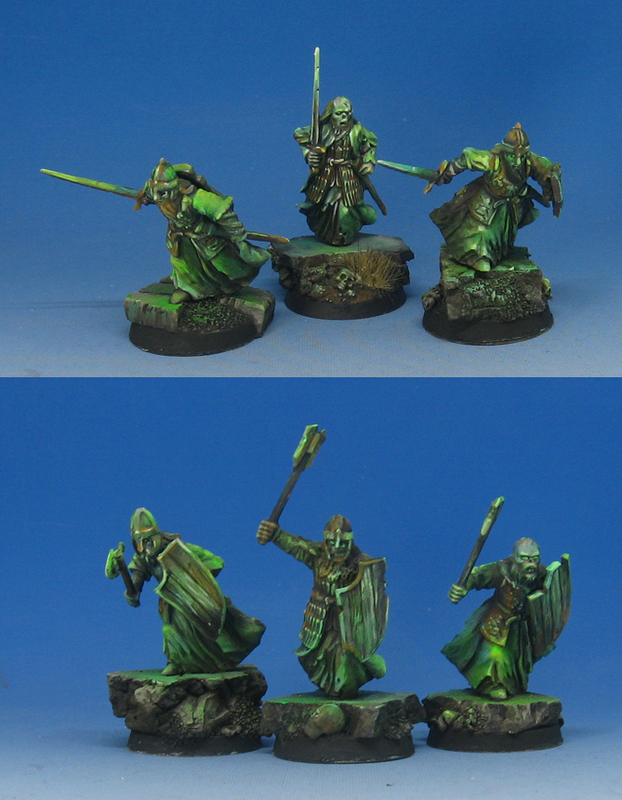 Once those corrosion effects were done, I could go back in with the greenish tones to get some final highlights and other details. The unit is nearly ready! And the result. 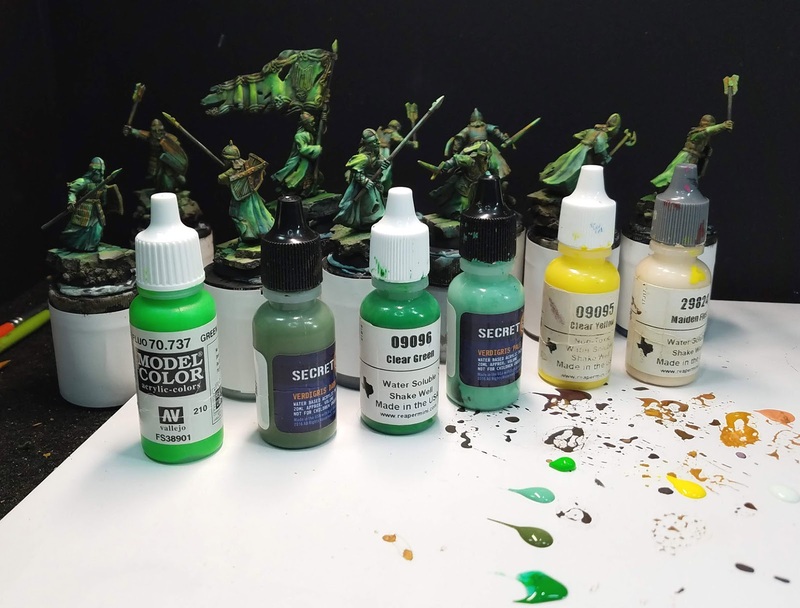 To give you an idea of how I try to lead into these exercises, I had done at least 3 other videos that covered the entire range of "greens". 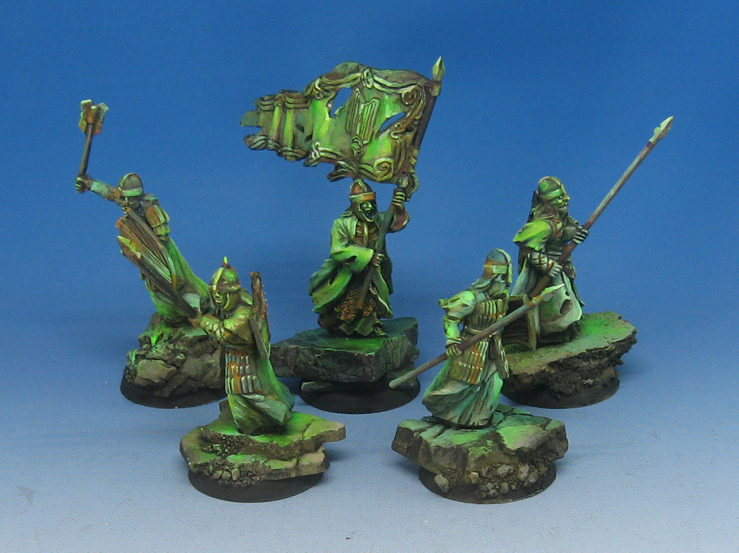 These were part of the Dark Sword painting episodes, which are also part of the Army Painting pledge level for the Patreon Page. 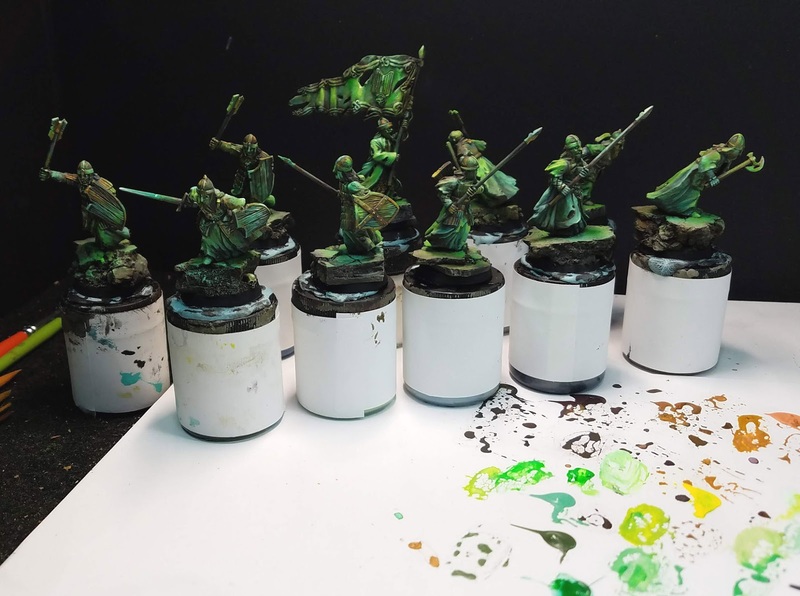 I try to show as many different techniques as possible in each series, so that they could potentially be applied to other types of figures, and not just this specific army. This sort of look could work for any Age of Sigmar Undead army for instance. All of these tutorials are available at the $15 level, and contain at least 16-20 hours of video tutorials each month. Again, these cover a wide range of subjects!